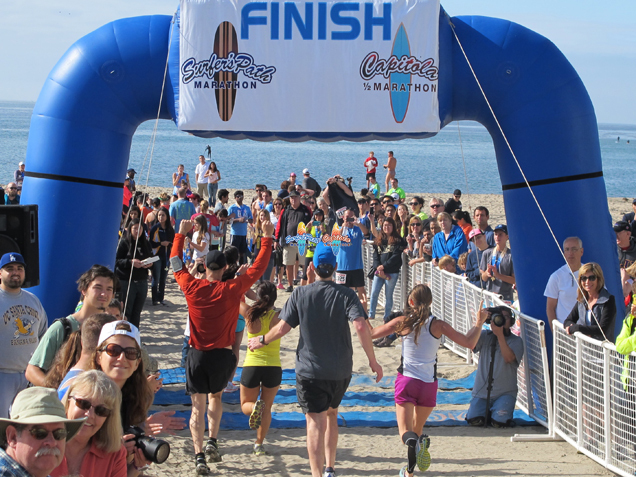 Welcome to the Surfer’s Path Marathon, Capitola Half Marathon & Relay events. The crowning jewel of the Golden State, Santa Cruz County welcomes runners with an enchanting blend of nostalgia, natural beauty and invigorating activities. Whether you choose the 26.2 mile Marathon, 13.1 mile Half Marathon or Relay, you will be treated to scenic courses, featuring breathtaking views of the Monterey Bay coastline and a series of world renowned surf breaks. An ideal destination event, participants can experience a quintessential California vacation. Create a memory that you will treasure forever by achieving your athletic goal in this picture postcard setting.